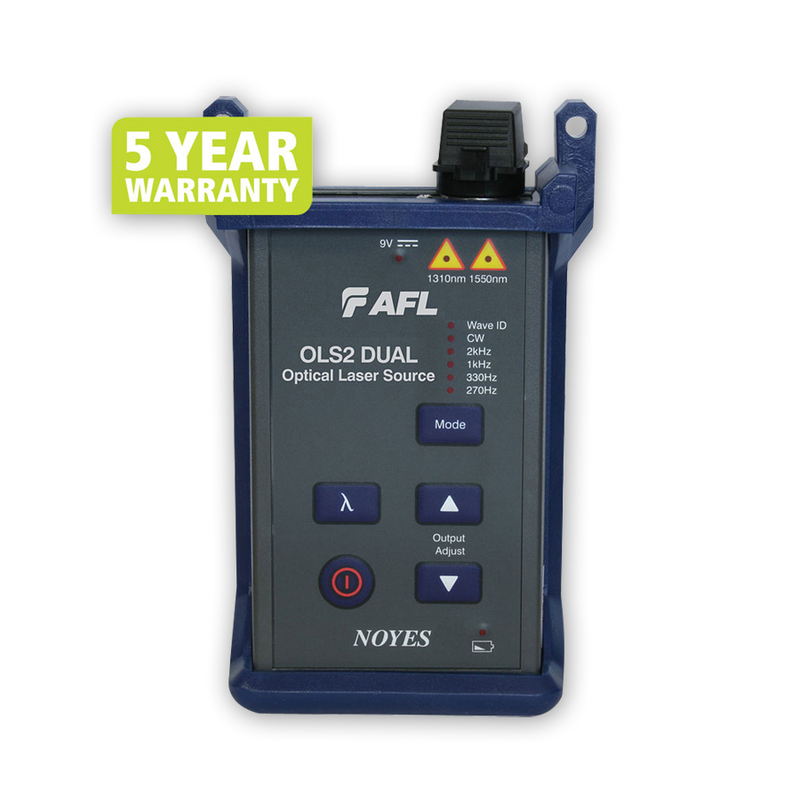 The OLS4 from AFL Telecommunication is a handheld, rugged, integrated two-port LED and LASER light source designed for performing insertion loss measurements on multimode or single-mode fiber optic links when used with an optical power meter. 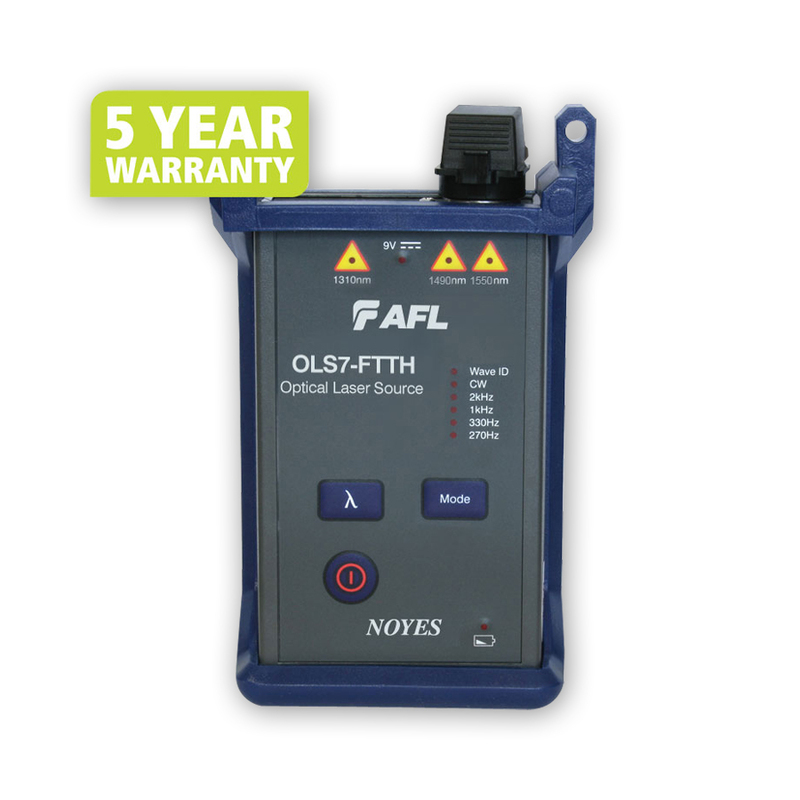 When paired with an optical fiber identifier, the OLS4 may be used for fiber identification. The LED and LASER outputs are stabilized to ensure accurate test results per current TIA/EIA requirements. 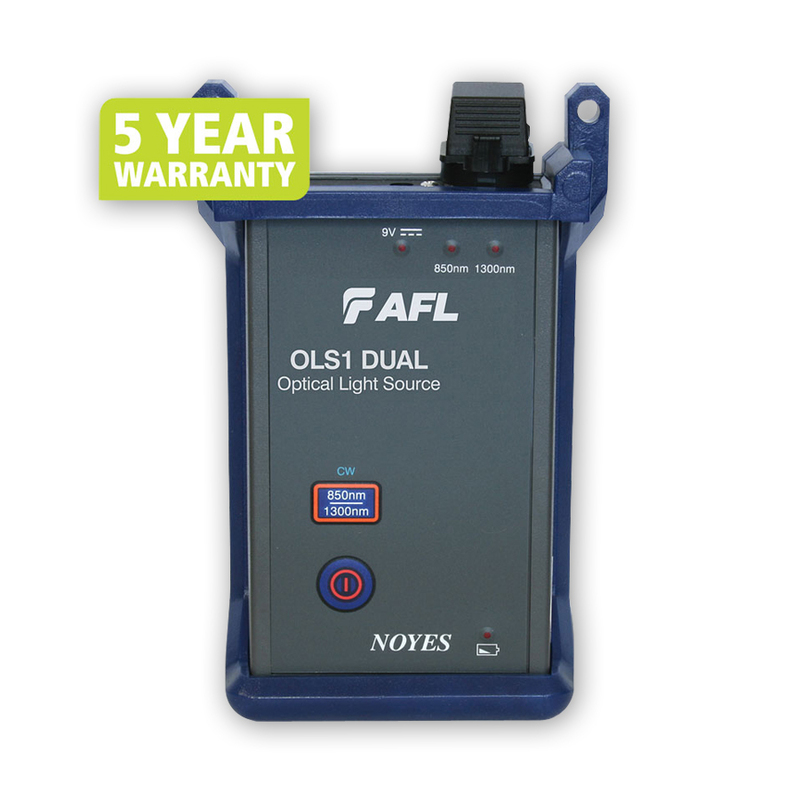 The OLS4 features 850/1300 nm LED output from a multimode output port and 1310/1550 nm LASER output from a single-mode output port. Each wavelength may be transmitted individually at CW or with user selectable modulated Tone (SM output). 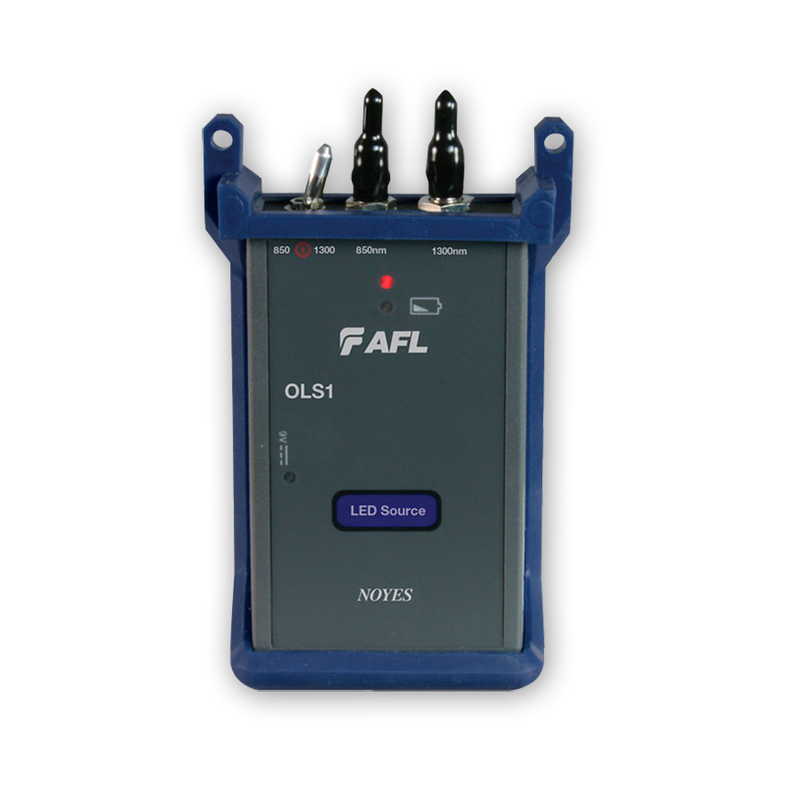 When transmitting with Wave ID, the OLS4 supports transmitting pairs of wavelengths in an alternating pattern. The designated LED indicator will illuminate to identify the currently enabled operating mode and emitted wavelength along with battery charge status and external power presence. 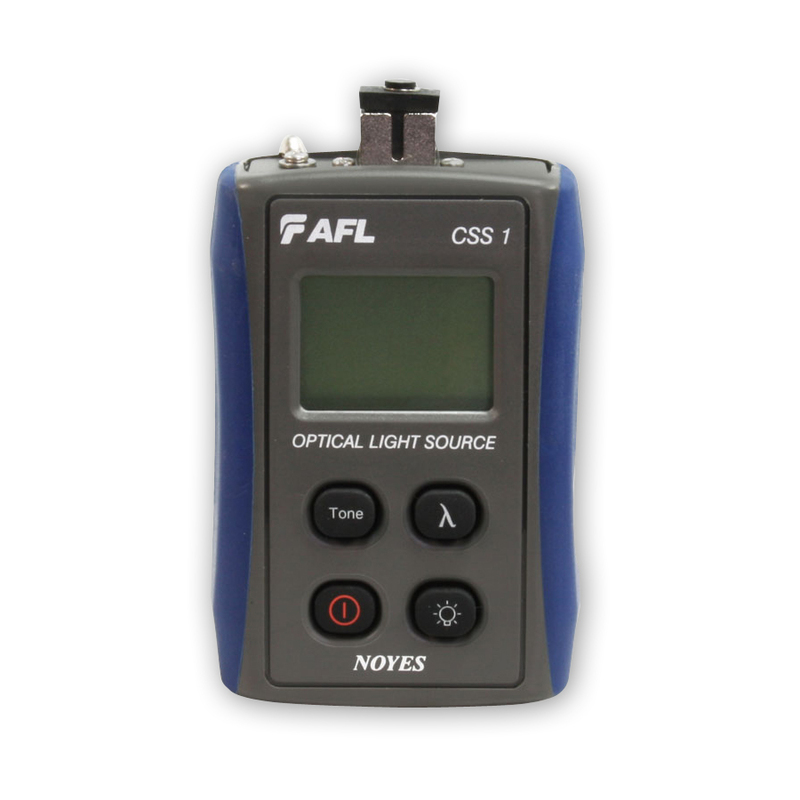 The OLS7 from AFL Telecommunications are handheld, rugged laser sources designed for performing insertion loss measurements on single-mode fiber optic links when used with an optical power meter. When paired with an optical fiber identifier, both models may be used for fiber identification. The LASER output is stabilized to ensure accurate test results per current TIA/EIA requirements. 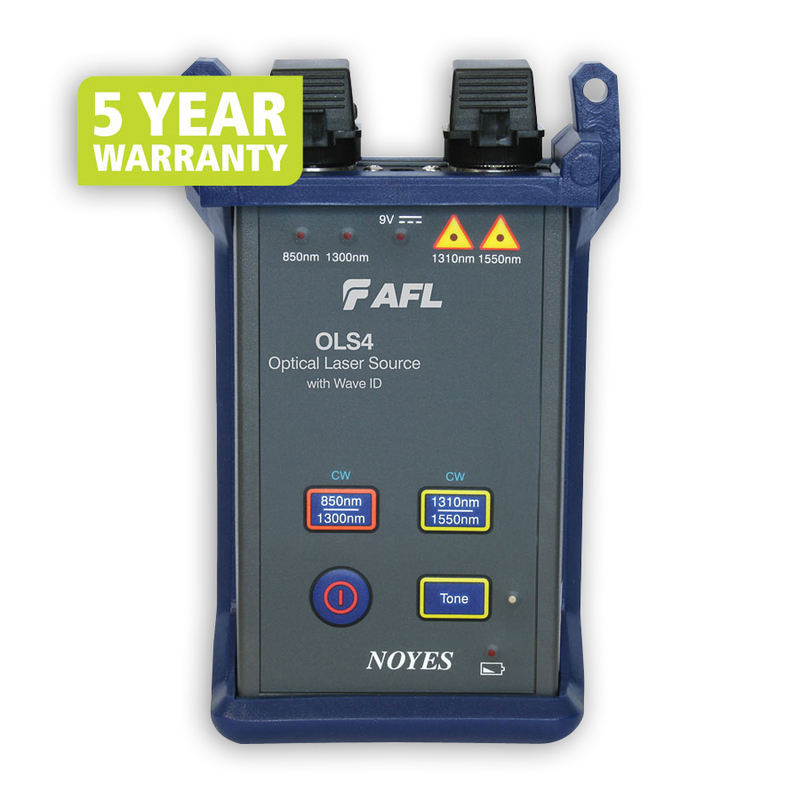 The OLS7 feature a triple wavelength LASER output from a single port and are easy to operate. Each wavelength may be transmitted individually at CW or with user selectable modulated Tone. Also, each wavelength may be transmitted with Wave ID. The OLS7 will also support transmitting pairs of wavelengths in an alternating pattern and triple wavelengths in a sequential pattern. Associated with each operating condition, the LED indicator will illuminate to identify the currently enabled operating mode and emitted wavelength along with battery charge status and external power presence.